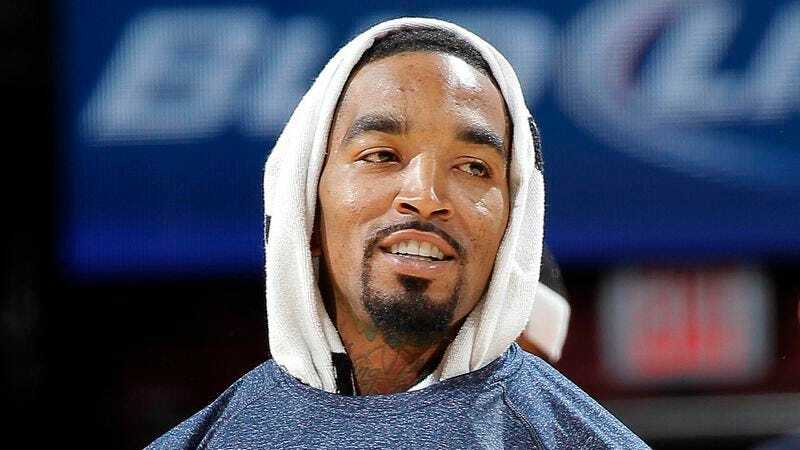 OAKLAND, CA—Saying that he had so much pent-up energy that he would likely remain wide awake until tip-off, Cleveland Cavaliers shooting guard J.R. Smith told reporters Thursday that he was far too excited and nervous before Game 1 of the NBA Finals to sleep through head coach David Blatt’s locker room speech. “I can usually doze off around now without any problem, but tonight is such a big game that I’ll probably be up the whole time Coach is speaking,” said Smith, adding that he was the only Cavs player who was still awake while Blatt reiterated the team’s defensive strategy for stopping Stephen Curry. “I’ve tried everything—earplugs, counting backwards from 100, even listening to some ambient music—but I’m still just here with my eyes wide open staring at Coach talking about giving our all to bring a championship to Cleveland. By the time I do finally fall asleep, it’ll probably be game time anyway.” Smith expressed some relief, however, when acknowledging that he will at least be able to catch up on some sleep during Blatt’s halftime team talk.